Jay Davidovich is an insurance company apparatchik. Big, blond, and Jewish with Ukrainian parents and an American attitude, Jay joined the National Guard in the late 1990s so that the taxpayers could put him through college but ended up serving in Iraq and Afghanistan. His job at Trans/Oxana is to prevent losses that the company has insured against, especially losses caused by certain unpleasant people. Hollywood pretty boy Kent Trowbridge plays late-night bumper cars in his Ferrari with two palm trees and a median after New Paradigm Studios bought an eight-figure Trans/Oxana policy insuring fulfillment of his contract as a major performing artist. In the city of San Gabriel, unlike Los Angeles County, a second DUI is not treated as "boys will be boys"; Trowbridge is going to do some county time. And since there won't be any director yelling "Cut!" 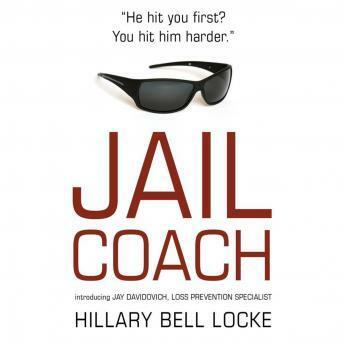 when things get dicey on the inside, Jay figures that Trowbridge won't be able to perform much of anything once he gets out-unless he finds him a jail coach. Enter Katrina Thompson, whose past includes jail time, a stint in the Marines, a daughter, and a hustler named Stan Chaladian. The first will help Jay, the second will impress him, the third will charm him, and the fourth will almost kill him-but that's life in the loss-prevention business.